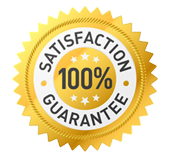 We stand by our products and systems with a full written guarantee. We will meet compliance for discharge to sewer and disposal to land fill. 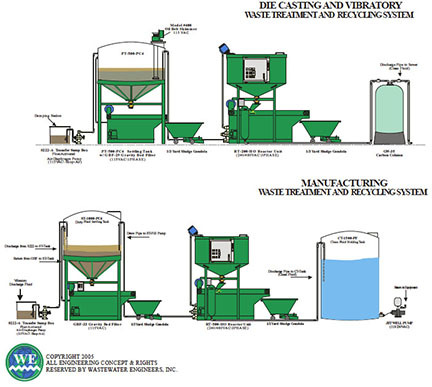 Welcome to Waste Water Engineers Inc.
Wastewater Engineers, Inc. wastewater treatment systems economically remove oils, heavy metals, suspended solids and other contaminants from water. We provide affordable and intelligent wastewater treatment technology for small to large volume generators. 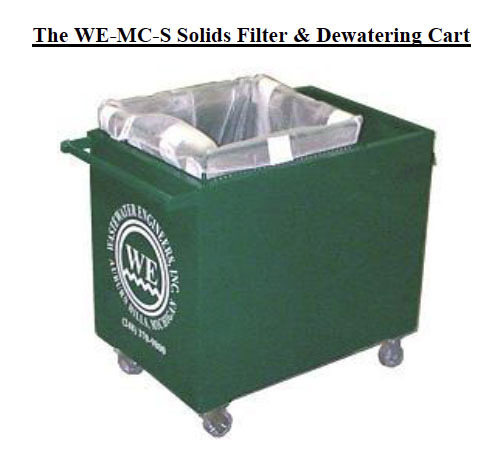 The W.E., Inc. system is a very attractive alternative to haul away services, and other treatment technologies. This system fits in well where a small waste stream is contaminating a larger stream and needs to be treated before being released into it. Our objective is to provide our clientele with results, which are simple, safe, and cost effective. We are seeking highly professional sales representatives. Please call us at 248-236-9800 for more information. Simple: the W.E. Inc. systems unique, patented, one step powder treatment is the heart of the technology. 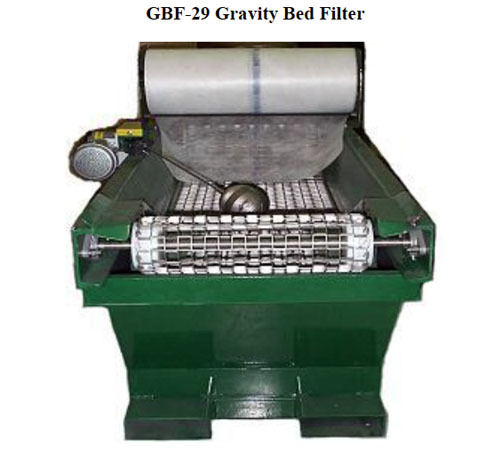 With this system, our machinery, your waste effluent, and our one step powder is all that is required. There is no need for highly paid technical personnel. There is no need for an array of different, often hazardous, chemicals. There is no need for laboratory supplies and equipment. If excess oils or solids are present, pre-treatment may be necessary, however, this is usually handled automatically, and with non-hazardous chemistry. Safe: unlike traditional wastewater treatment chemicals ( acids, harsh caustics, etc. ), the W.E. Inc. range of powders and liquids are non-hazardous, are safe for workers, and require no special storage or handling. (See SDS for details). Cost effective: cost per gallon to treat is typically less than 1/3 the cost per gallon for haul away. Return On Investment (ROI) for capital equipment is usually within only a few months. Additional savings may be realized when the treated fluids are recycled, since our technology can leave costly soaps, rust inhibitors, and other chemicals in the water. The bottom line is: a reduction in wastewater handling costs equals increased profit for your business.